The Rebel Sweetheart. : Wordless Wednesday #126 | Hello, Summer! It's 30 degrees outside today! Time to cool down with some halo-halo! Its still cold here as winter is just ending. So I have to wait few more weeks till I can eat this! I MISS HALO HALO! 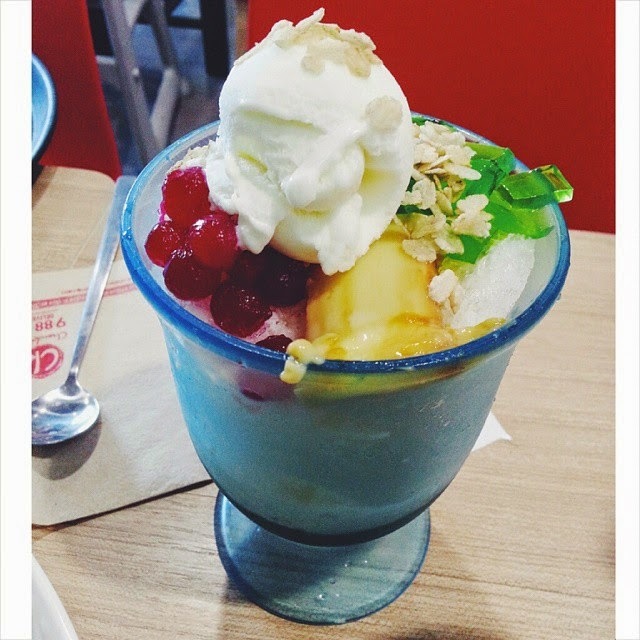 The halo-halo looks so yummy. It too has been extremely hot over year and I've been having more ice desserts. Summer? What part of the world do you live in? Sarap! That looks so refreshing. My niece LOVES halo halo! That looks so yummy! I'd love to give it a try. Yummy this looks delicious. I hope you share the recipe too. Wow, that does look like something I would enjoy just about now. Craving for this! I was supposed to have some yesterday, but my friends changed their minds. Bummer! Looks so good! What's it? I would go for this. Looks quite tasty. Okay this looks totally amazingly delicious indeed. I am going to have to make one like this now. Thanks for sharing. Definitely not summer here yet but I could still happily eat that creation! It looks very tasty and just what I need right now. I'll take two. I wish it was warm enough to eat that here!